Homeopathy is an alternative medical practice based on the use of extremely diluted substances to treat a wide spectrum of ailments. These substances, also known as homeopathic dilutions, are typically comprised of toxins or insoluble solids that have been thinned out with alcohol or distilled water. Homeopathy was developed in the 1790s by Christian Friedrich Samuel Hahnemann, a German physician who had grown dissatisfied with the state of medicine during his time. Hahnemann based homeopathy on the concept of “like cures like”, wherein substances that normally cause disease will cure that same condition when diluted. During Hahnemann’s time, homeopathic treatments were considered to be safer than the majority of current medical practices, such as bloodletting, which involves the withdrawal of blood. A typical homeopathic session will consist of the homeopathic practitioner making a detailed history of the patient’s ailment. Once the practitioner has a clear idea of the patient’s ills, they will attempt to rank the symptoms by degree of intensity and ascertain whether the symptoms correlate with one another. From here, the practitioner will then prescribe remedies and/or lifestyle adjustments to the patient. A homeopathy remedy will usually be a tincture, capsule, or tincture. One or more follow-up appointments may be recommended by the practitioner. In addition to these, a number of professional homeopaths claim to be capable of treating more serious illnesses, like autoimmune disease. Although remedying these conditions through homeopathy alone is not recommended, some studies have shown that combining homeopathy with conventional treatments has a good number of benefits. Specifically, improvements to the quality of life and greater relief from symptoms. One other advantage to homeopathy is that the medicines are sufficiently diluted to the point where they’re not known to interact with conventional drugs. Those who are on prescription medication, however, should still consult their doctors before taking homeopathic remedies. As per the United States Food and Drug Administration (FDA), manufacturers of homeopathic medicine are required to include a list of the ingredients, dilutions, and instructions on the labels of their products. This makes it easier to verify whether or not a homeopathic remedy is suitable for use. Homeopathy has been and continues to be utilized for the treatment of various organ and organ system ailments. 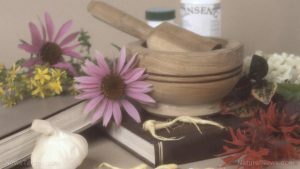 According to IntegrativePractitioner.com, for example, the most common conditions that people seek out homeopathic remedies for are musculoskeletal pains, respiratory issues, and ear-nose-and-throat problems. Homeopathy is a branch of alternative medicine based on the guiding principle of “like cures like.” Practitioners of this system aim to treat disease by stimulating the body’s healing mechanisms through extremely diluted substances that are typically made from herbs, minerals, or animal products. To that end, homeopathy has been utilized as a means of remedying all kinds of health complications, including but not limited to chronic fatigue syndrome, hot flashes, ear infections, and childhood diarrhea. However, homeopathy shouldn’t be used to treat severe physical or mental illnesses. Homeopathic remedies are best for temporary aggravations. Moreover, these tinctures and capsules are generally considered safe to take with conventional drugs, but pose the risk of interacting with prescription medication. Make it a point to consult a doctor before taking homeopathic remedies.